Dear Warriors: Life's A Marathon! 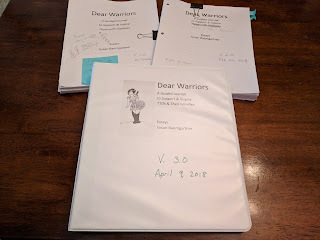 I finished the first draft of Dear Warriors in September. Here it is, April 9, and I just assembled Version 3.0! The weather is practically the same as it was back in September. Other than that, a ton of stuff has changed both in this manuscript and in my life. That's the way of the world, isn't it? I've added a CGM into my life and met some more amazing people. 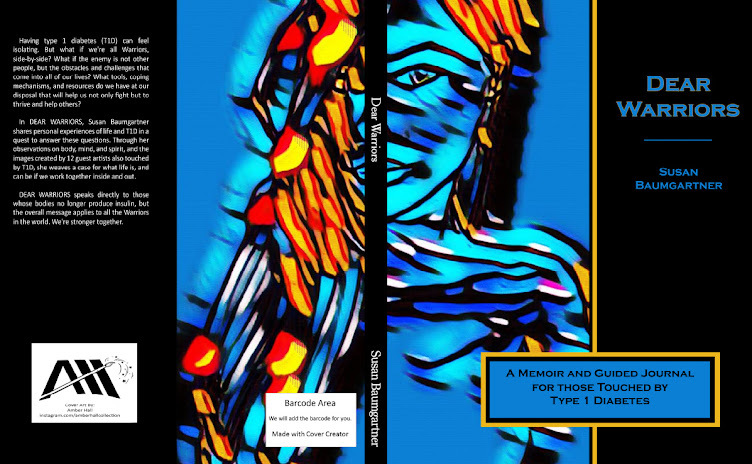 I'm seeing all sorts of cool art and amazing stories of lives touched by diabetes. I'm also working out with a friend and hoping to check something off our bucket lists together this year: running a legit 5K. Life's a marathon, especially with T1D. We can do it together. 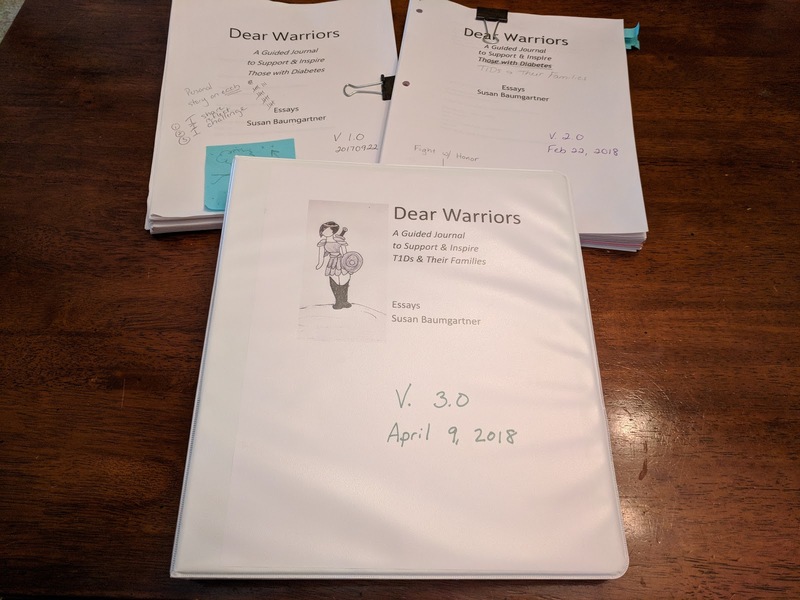 If you or someone you love has some 2-dimension art they'd like to send my way for possible inclusion in Dear Warriors, I would love to check it out. Please see here for details. Submission deadline is July 31, 2018.